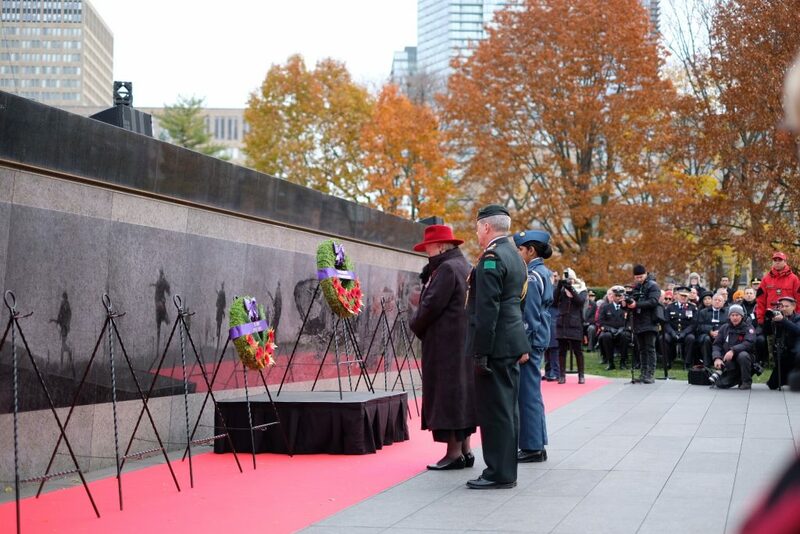 The Lieutenant Governor addressed the Remembrance Day ceremony at the Queen’s Park Veteran’s Memorial Wall and laid a wreath in honour of those who served. After the ceremony Her Honour hosted a reception for Veterans, Rangers, Cadets, and members of the Canadian Armed Forces. This year marked the 100th anniversary of the armistice that ended the First World War. At the time, with a population of only around 8 million, more than 650,000 Canadians served in the First World War between 1914-18. Of those Canadians who fought, roughly one in ten, or 66,000, died. To see more photos from the ceremony and reception, click here.